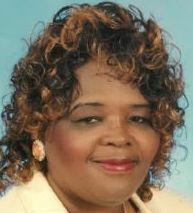 Maxine I. LattimoreMaxine I. Lattimore passed away at the age of 80 in Arcadia, Fla. Mrs. Lattimore was a lifelong resident of DeSoto County and a faithful member of Mt. Zion AME Church. She retired from the Florida Department of Corrections and enjoyed serving her community, spending time with family, and praising the Lord. She leaves to cherish her loving memories two daughters: Teresa Wilson of Arcadia and Thelma Lattimore of Orlando; six sons: Stanley Lattimore of Charleston, Miss., Roland Lattimore of Arcadia, Reginald (Charlena) Lattimore of Winter Haven, Fla., William (Beverly) Lattimore Jr. of Philadelphia, Derrick (Celeste) Lattimore of Round Rock, Texas, and Malcolm Lattimore of Arcadia. She also leaves a host of grandchildren, great-grandchildren, great-great-grandchildren, nieces, nephews, cousins and friends. Viewing will be held (Friday) April 5, from 5-7 p.m., and the Homegoing Celebration will be held (Saturday) April 6 at 11 a.m., both services at Mt. Zion AME Church, 256 S. Orange Ave., Arcadia. Connie Janan KingConnie Janan King, 52, of Smithfield, N.C. (formerly of Florida) died on March 28, 2019. Visitation was March 31 at Parrish Funeral Home, Selma, N.C. Funeral services followed on April 1. Burial is private.